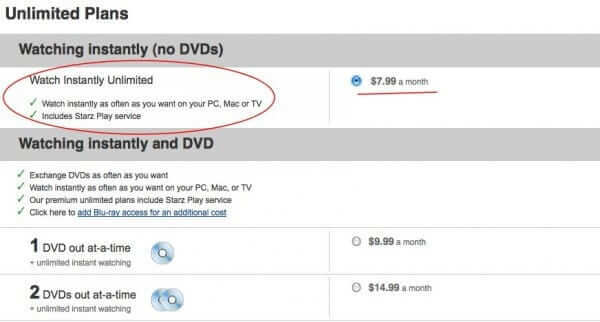 In fact, you will even be taken into your Netflix account, further suggesting that there is no problem, and that all is fine and dandy with Netflix and your iPad. 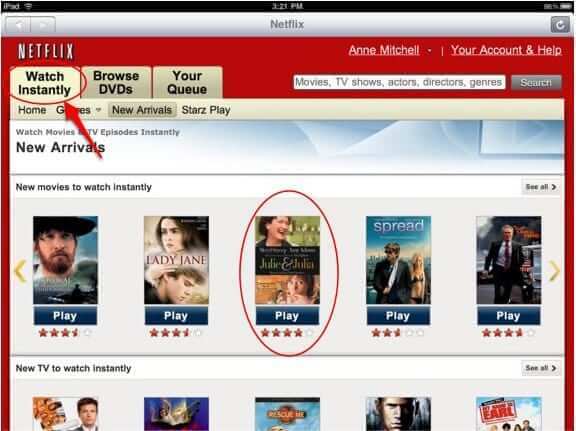 Than you go into the “Watch Instantly” area (where, again, everything seems fine), and you select something to watch. Here we have selected the awesome movie, Julie & Julia. 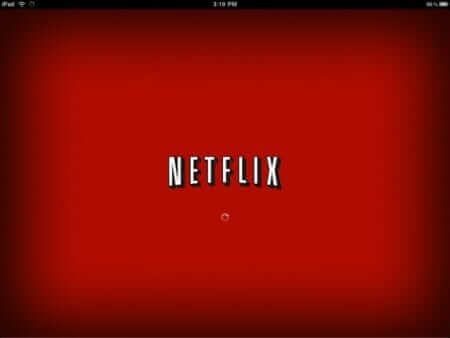 The problem is that while your iPad is hanging at one of those two screens, while it seems as if your iPad is connected to Netflix, in reality it is desperately trying – and unable – to connect to the actual movie server itself. 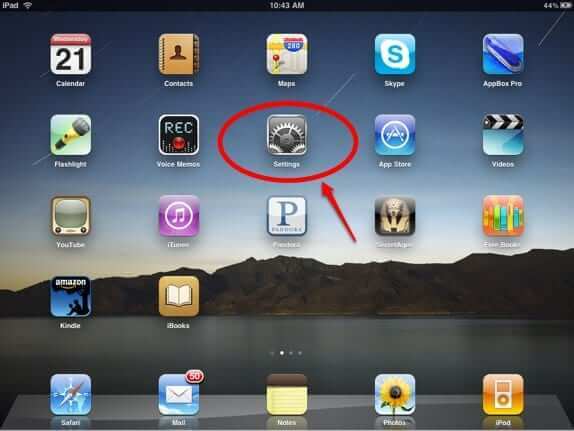 Nobody actually knows why iPads may suddenly experience this problem – you may have used your iPad for weeks, watching Netflix movies and tv shows with the Netflix iPad application, having nary a hiccup with the “watch instantly” option, and suddenly – nada. But we know how to fix it. Here is a bonus screenshot of one of our favorite television shows, being watched on the iPad with the Netflix ‘watch instantly’ option – bonus points to readers who can identify this show! And finally, we told you that we’d explain Netflix’ “six digit phone service code” to you. 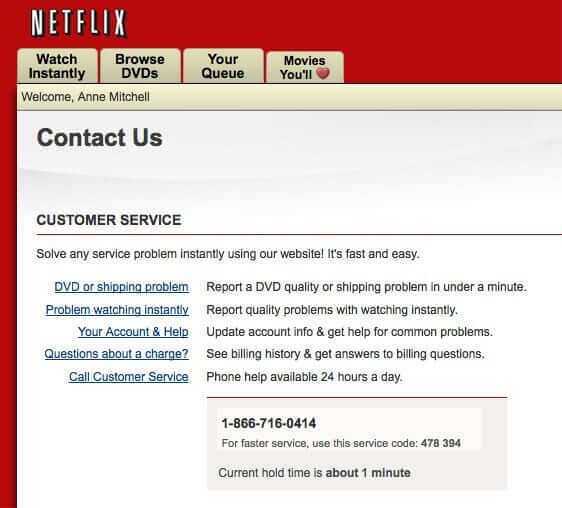 When you call Netflix customer service, the recorded message tells you that for faster service, please enter your 6 digit phone service code. But if you haven’t dialed Netflix as a result of going through their customer help area on their website, you will have no idea what that is, or what it means. When you seek help on the Netflix site, in the help area, there is a link for “contact us”, which takes you to the Netflix customer support contact page. 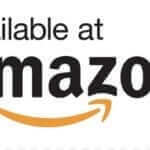 On that page is a customer service telephone number, and under the number is a six-digit code that is the phone service code that they want you to key into the telephone when you call their customer service number. We didn’t have a code, and we still were assisted within a minute by the excellent Netflix customer service representative, Jason. Next How to Find Out What Your IP Address Is – and an Explanation of Just What Is an IP Address? You are the best. When I thought internet are full of scams and cons, this fix really makes my day. Thank you for restoring my faith in the internet community. Thank you, thank you, THANK YOU!! What more can I say? Thanks it worked perfectly. I called Netflix who couldnt solve it but your advise helped, thanks again. Did not work for me. Did cause some concern when I had trouble getting my WiFi back. Eventually removed app and downloaded again. Easy fix and worked like a charm. Human Test???? You have to be kidding! I want a refund! Expect no more monthly payments! Great! Thank you! I was going through Netflix withdrawal. Thanks! I work out every day and have had to watch movies on my phone! Omg!!! I wish I found this site 3 months ago. I gave up watching Netflix from my iPad and this did the trick. THANKS!!!! Thank you soooooooooo much! It worked like magic!!!! It worked for me! Even five years after this article was written. THANK YOU! Thank you for figuring out what others could not! worked lo,e a charm!!!! Aaaawesome. Thank you so much. Worked like a charm! OMG – You are awesome. Netflix help chat didn’t have a clue! Thank you! Been searching for days for a solution and this did it. Thank you for this fix. So clear and concise. I’m 70 years old and was finished with my formal schooling long before home computers became a reality. Nonetheless, I was able to follow you fix easily. My ISP was not able to provide a fix. I’m very grateful for your help. This isn’t going to necessarily work for every iPad, but I understand why it does for some. My guess is that people having this problem are on Wi-Fi only iPads, like mine. I tried reinstalling the app, restarting my router, restarting the iPad. None of this worked. I tried resetting the Network settings, this didn’t work. 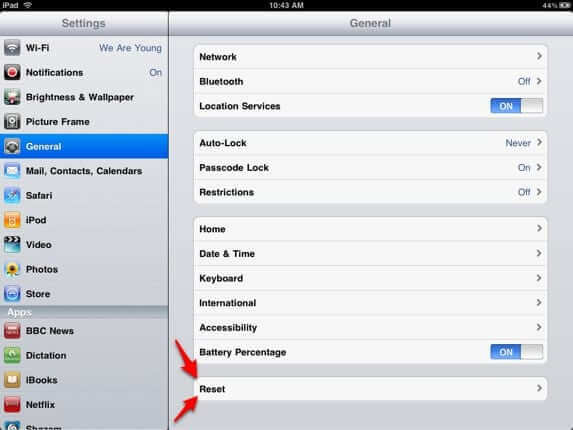 Nor did resetting all settings on the iPad. I decided to dig into the Netflix settings. There is a setting for the video to stream only through Wi-Fi connections. For whatever reason, this setting isn’t on by default. If your iPad is Wi-Fi only, my guess is that, with this setting off, the app is trying to use a non-existent cellular connection to stream. Just turn the setting on and it should fix it. Thank god for this article. Sorry about what happened to your iPad Robbin. I was about to do the same thing, then I read this article and your comment. I got an ipad2 and netflix/amazon prime kept closing on me after 1minute of playback. Resetting the network did the job. Thank you!! Awesome fix! Saved my ipad2 from certain doom. Had this hang happen on our iPad2. Before checking online, I held the power button, thinking to reset the pad. It never turned back on. :-( By holding the power and home buttons, I could get the apple to appear for 5-10 seconds and then…nothing. Tried all the apple tricks and got…nothing. The battery would drain so something was going on in the background. Took it to a genius bar and the genius got…nothing. They replaced it for half price (out of warranty). Fast forward a week and (assuming it was some freak hardware glitch on the first pad) I was watching netflix on the new pad, had it on a timer. Hours later, opened the pad and it went back to netflix. I clicked cancel and it got stuck in a cancel loop (red circle). This time I did not try to power off ;-) I found this site and was able to get back to the settings. Resetting the network did the trick. Done with the app tho. Thanks for the article Anne. Netflix app is great on iPad. If live outside USA, you can use tools like UnoTelly to get Netflix on your iPad. I have had an ipad for two years and have never experienced the Netflix connection problem. The fix yoy provided did the job. Thank you so much for making this available. Thank you! It fixed it. Solved! Thanks. I think that picture if a British Comedy, “Cold something or other. We watched it and always laughed. Tara’s suggestion – 7/18/2011 @ 10:33 am – worked for me for the moment. This worked great on my iPhone 4S Netflix app. Thanks!!! 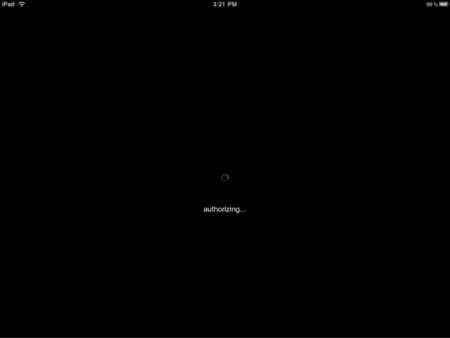 Have had an ongoing problem with NF on iPad3. App does not work well. Crashes frequent. Now “Red” NF screen just cycles. No net activity (little spinning icon at top) I’m on VPN. Have reset (last time that worked, not now), reloaded app etc etc. I give up. On Mac with VPN no probs. Real issue here. I have NO idea the reason for the probs. 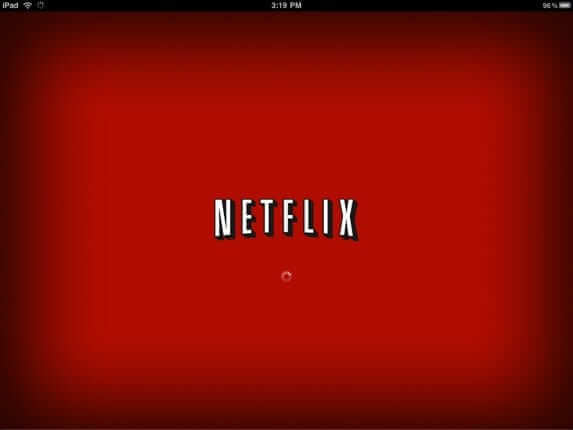 Deleting and reinstalling Netflix worked on iPad3. I’m watching a movie right now! Didn’t work for ipad3. Gonna try deleting and then reinstalling the Netflix app. I will report back shortly! I’ve tried all of the above, and still cannot watch an entire episode or movie on my iPad2 without constant or intermittent interruptions. Is the TV show in the pic “Coupling”? None of this worked. Deleting from dock, delete and reinstall, and resetting. I keep getting the unable to connect message or the frozen screen. It is the app and it is obvious Netflix has no desire to fix it. So it is no more movies on my iPad, I’m limited to my computer. Great tip, worked like a charm. Was having lots of issues with stuttering, and quality, sometimes my shows would look like an 8-bit video game, as well as the sound cutting in and out, now its like I am watching it on a dvd. great tip. Resetting the network didn’t work for me. I had to DELETE the app, resinstall it from the AppStore, start it up and sign in again. Only then did I get it to work again. Hope this helps someone. Netflix ipad app keeps asking me to log in, despite never asking me before – I watched streaming movies fine just last night. Now it wo ‘t accept the correct password, even though the Netflix web site does. I had a slightly different problem- Netflix would crash when loading lists of videos. This fixed it- thanks!!!! @ #14. BINGO!!!! After over an hour of trying the other stuff, deleting and reinstalling the app worked for me on ipad2. Sweet! Thank you to Tara 7/18/2011. That worked perfectly. We have an iPad2. You are amazing! I got my iPad 2 less than a month ago and was really looking forward to Netflix then it never worked. It would only load about a minute of the movie then freeze. This worked perfectly and only took a few seconds. Tara’s suggestion (#11) worked for me . Very simple. Thank you Tara. Thanks, worked for my old original iPad. It worked on my iPad2!!!!!! Didn’t work for me. Now the Netflix app on the Ipad2 forces me to login to Facebook. I thought the Netflix app was hacked, so I reinstalled. Still doesn’t work. This same issue occurred and we reset the network settings. Then a new issue came up. We can watch instantly, but the movies freeze after 1-2 minutes. After touching the timer dot, it will restart but freeze again. Any ideas on this? Thank you and we look forward to using your site in the future for these situations. #4 worked for my iPad 2. Thanks! Worked for both iPad and iPad 2 in our house! Thanks. When all else fails (such as in my case): Double click the “home” button, scroll through the list of applications that appear until you find Netflix, hold down the Netflix icon until everything begins to vibrate and “x”s appear in the top right hand corner of each one, close the Netflix icon (press the “x” and remove it from the list). 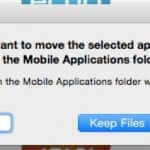 This does not delete the application it just removes it from this list which is a cache of sorts that the Ipad references back to in order to connect quickly. Once you’ve removed it from the list try opening Netflix again as usual, that worked for me. Change your dns to google (8.8.8.8). It worked for me first time. think there’s cached entries in the iPad IP stack. Hopefully someone at Apple is reading this stuff and can figure out the root cause.. I can start the movie, and can hear the audio, but the screen is black..resetting network settings, rebooting, uninstalling/reinstalling the app didn’t do anything, and it’s the latest version of the app, so no other updates available.. any other ideas? 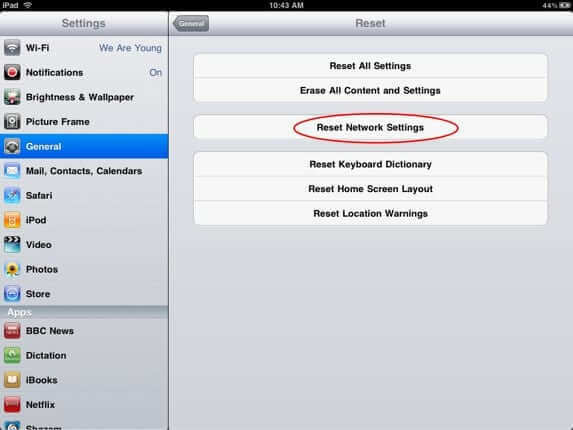 I reset the network settings on my iPad 2 as instructed, but this did not fix the issue of movie selections not playing. I am going to delete and re-install the App to see if that works. Netflix works OK on my Mac, so the issue is with the iPad App. I tried your solution which did not work. I’m embarrassed to say that what did work was updating my Netflix app, which I hadn’t realized was waiting for me to do! Fixed it right away! Hasn’t worked in months. Thx so much! Wow! Thanks. Netflix was useless. I followed exactly and my Netflix instantly works again. THANK YOU!!! I can now get back to watching my Bones! Thank you. I tried installing and reinstalling the app,restarting the iPad, turning the network onn and off. . . Your fix did the trick. Brilliant! Just worked for me! Very pleased. Thank you! Turning on the reset button in the Netflix preferences and rebooting fixed it for me. Thanks to those who took the time to share… like me frinstance. This article is just random dumb luck… this is not the necessary steps to fix the problem, it just happened to work for some people, so quit posting articles like this as if it is a defiant resolution… very annoying. I tried all of the methods listed so far. None of them seem to work for me. I get the “could not reach the Netflix service” message. worked for me! THANK YOU!!!! worked like a charm (had an issue with netflix not loading and just returning to the home screen). None of these tips helped me out. Ive tried tweaking the router, changing the dns on the ipad, reset, clearing cookies, caches, everything suggested on several websites. 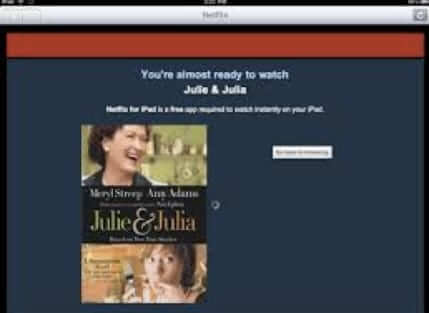 What worked was using CioneTap Lite, a free app on itunes, as the portal for Netflix. You still need thie netflix app on the ipad but it seems to “work around” the netflix app problems. Im back streaming on netflix! Thank you! This worked for my iPod!! Yay! This didn’t work for me. what DID work, was changing my DNS on my ipad to googles DNS (8.8.8.8) servers. This is because my router uses DNS-Masq w/ dns-rebind prevention code. manually supply a dns, rather than using your router for DNS will fix this issue. The screenshot is of the show Coupling. Almost worked. There’s a reset in the Netfix settings too. That made it work. I suspect a cookie problem. This didn’t work for our iPad.